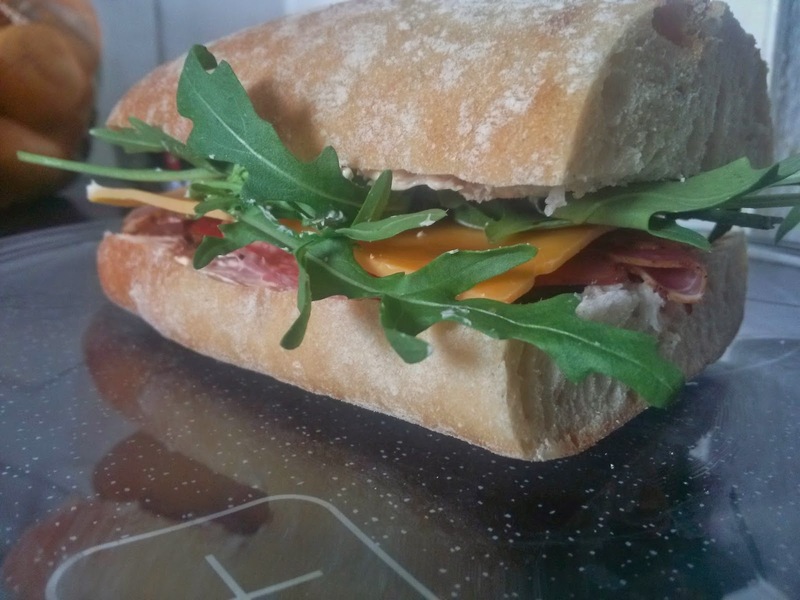 Love Your Ego: EGO eats: Ciabatta Deluxe Sandwich! 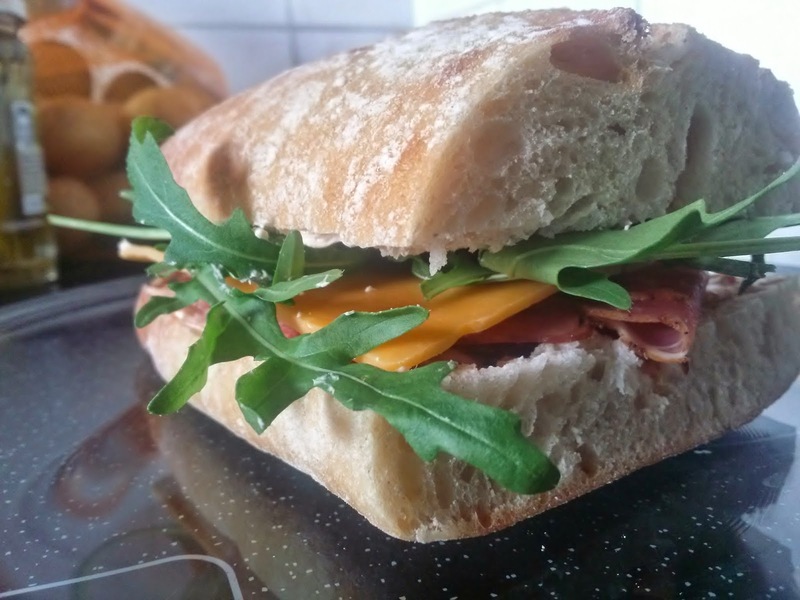 EGO eats: Ciabatta Deluxe Sandwich! Anyways I've got a new addiction! I usually don't eat bread because I don't really need it (too many carbs and usually it turns out pretty boring when I make myself something with bread). However one day at my lunch break I was bored with my usual lunch break meals. So I went for something new at our local Italian. 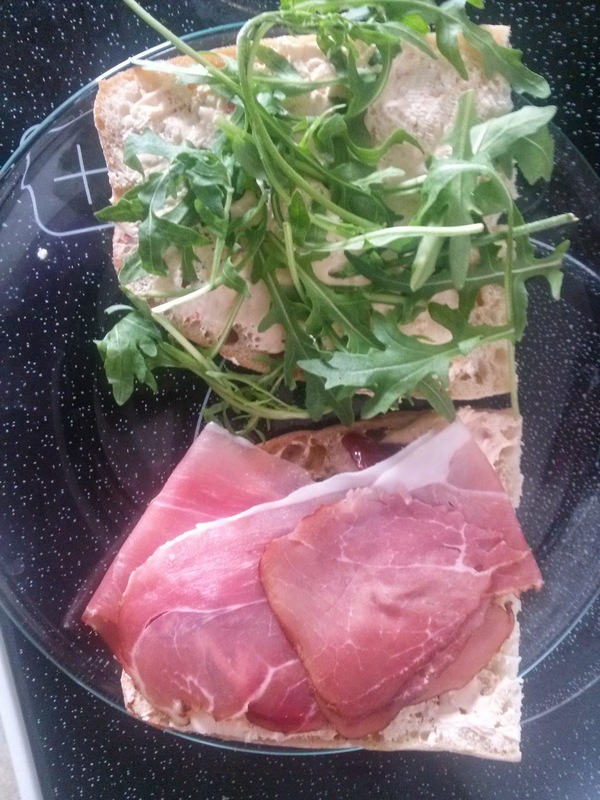 Yes folks, I've finally discovered the deliciousness of Ciabatta sadnwiches! The problem is that I don't really understand the menu -because it's in Italian. 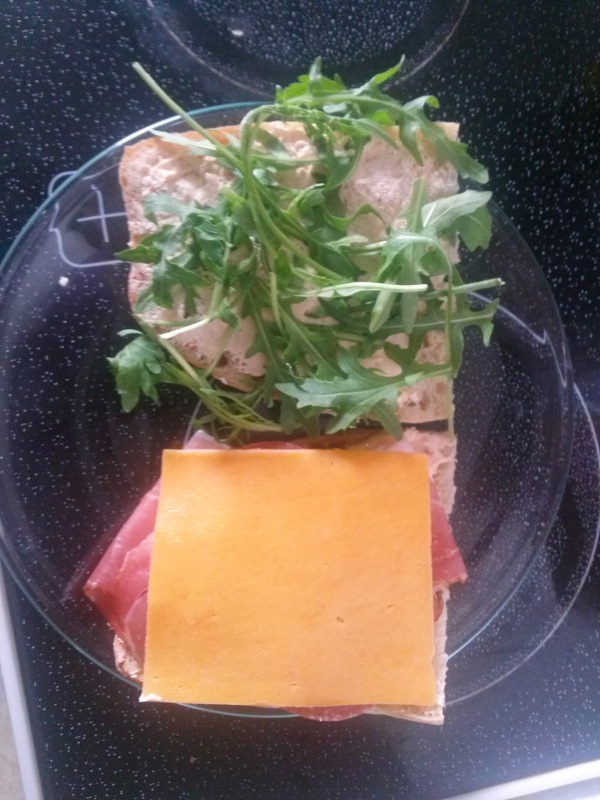 So I was lucky with my first sandwich and a bit disappointed with my second one (on another day, okay? I did not eat two in my lunch break :D) That's why I went back to my first one... You see a week usually has 5 days of work which means 5 days of Ciabatta sandwiches :D But with this long weekend there was no way I could survive without one. And this is how my Ciabatta Deluxe Sandwich was born! As with all sandwiches the hardest part is getting all the ingredients and knowich WHICH ones you want to have on your sandwich. The rest is pretty self-explanatory. 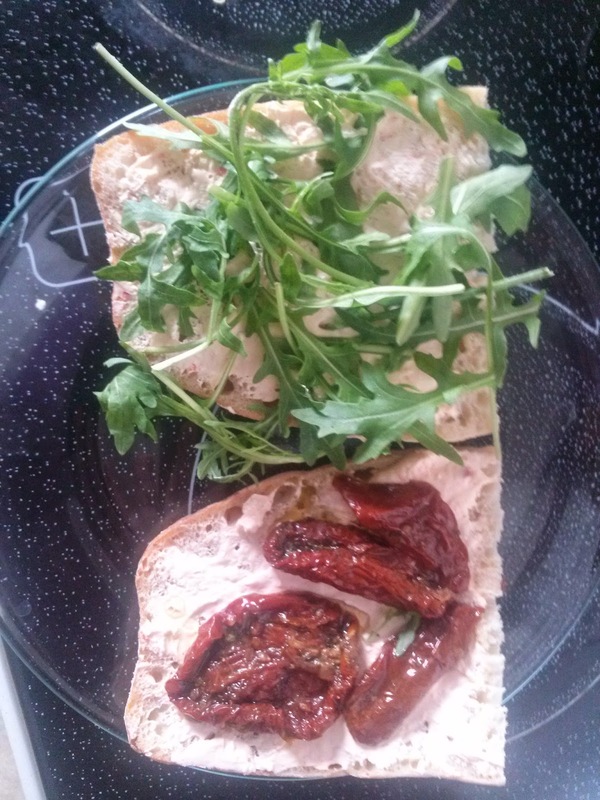 Spread the the cream cheese on the top and bottom part of the bread, add the dried tomatoes (so that they stick to the cream cheese) on the bottom and the rocket salad on top. 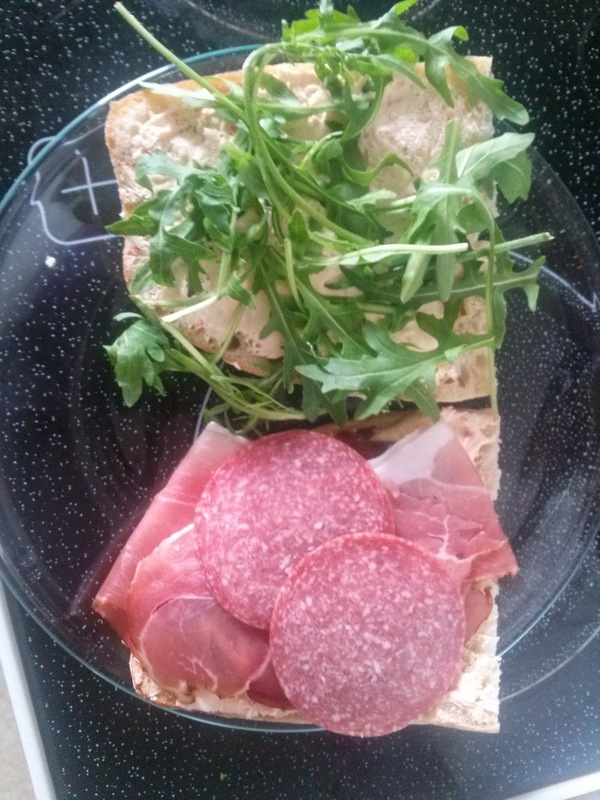 Looking at the ingredients all that's left for you to do is put the meat and cheese on the bottom part, close the whole thing by putting the top on the whole thing and make sure not to dislocate your jar while biting into this awesome sandwich! Adventure Time - My Trip To The Baltic Sea! EGOutfit: Feel The Waves And The Water! I'm Going On A Weekend Trip To The Beach! EGOutfit: Turn The Lights On! EGOtalk: Snap Out Of Your Grudges! EGO eats: Heartfelt Carrot Pear Cupcakes!